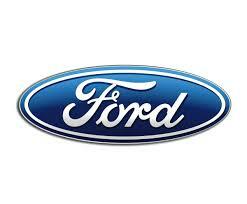 Ford is one of the largest, and surely, the most historic automaker in the United States. 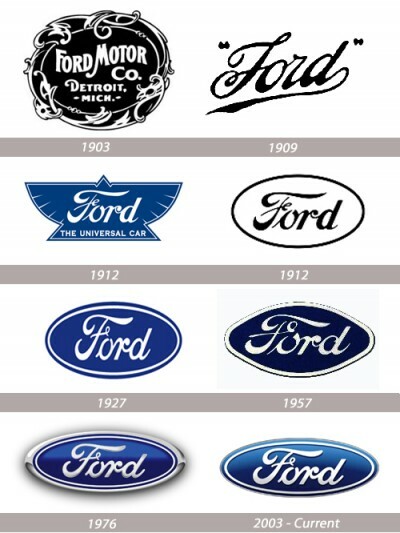 Originally incorporated in 1903, Ford has always put a great deal of stock in their logo. It’s a logo aimed at portraying the strength and power of the company, and over the years, this logo has become one of the most iconic symbols in American history. It holds a great deal of value and was actually one of the assets that were pledged to help give Ford a multi-billion dollar line of credit in 2006. Since the beginning, the Ford family has viewed the Ford logo as an extremely important facet of the company, and it has become the family’s coat of arms. The logo was even a source of controversy in 1966 when Henry Ford II hired designing guru, Paul Rand, to design a new version of the logo. At the time, Rand was extremely respected in the designing community, creating logos for IBM, ABC, Westinghouse, and UPS. However, his design for the Ford company did not go over too well. Instead, Henry Ford II decided that he wanted to stay with the classic Spencerian script (which coincidentally is also used in the Classic Coca-Cola logo) because it better suited the company’s image. It was strong and log lasting. It’s hard to argue with his logic, considering the fact that the logo has become so iconic. Of course, the logo went through a number of transformations early in the company’s history. Originally in 1903, the logo was in black print and featured a large art nouveau border. 6 years later, they tried an opposite approach by stripping down the emblem. Over the next 20 years, the logo changed a handful of times, slowly evolving into the recognizable logo of today. 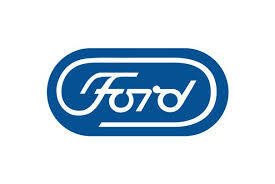 The final Ford logo alteration eventually came in 2003 to celebrate the 100th anniversary of the company. For this image, we see a sleek, polished image that mirrors the technological advances the world has taken. Now, everyone may differ on their opinions, but here is the list of 4wheelonline’s favorite Ford logos in order. Which one is your favorite logo? This entry was posted in Culture, Ford and tagged best, ford, history, logo. Bookmark the permalink. 1909 logo looks classy 🙂 and it’s our favorite.